A template engine allows us to inject data and then converts it into HTML. Follows DRY principle and focuses on reusability. Tags are very easy to use, no brackets required to cover tag. Every tag used is a self-closing tag in Jade so no closing tags are required which minimises a lot of code. Jade uses whitespaces and indentation to define nesting of tags. 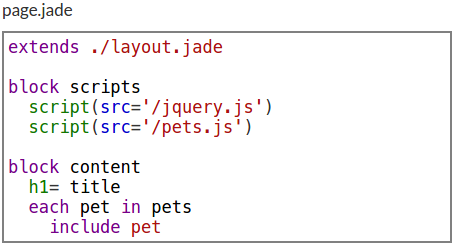 So the indentation and whitespaces play a crucial role in Jade. Attributes can be added to the tag inside the closed brackets. Similar to CSS selectors, here dot(.) is used for a Class attribute as a prefix and use hash(#) for an ID attribute. Jade always treats the first word of every line as an HTML element. When using a p tag for a large block of text use a period(.) after the tag which indicates that all the code after that period(.) is text and Jade stops treating the first word of each line as an HTML element. 3. Mixins: Mixins are defined using mixin keyword and are used as a function which takes arguments and returns a markup. 4. Interpolation: Binding a variable with a string in JS becomes annoying. 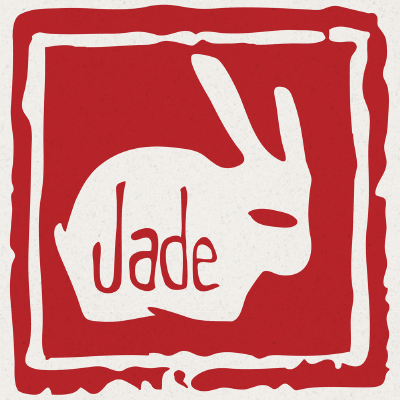 Jade offers a simplified and an elegant solution for it. One mistake in indentation of code or one missed whitespace results in a different output.